In the run up to the Christmas holiday I have had lots of extra commuting time which means extra time to get through a few books. Even with the extra time I only managed to read 2 books and a short story. I am hoping Santa brings back my reading mojo and leaves it in my stocking as I would like to get a bit closer to hitting my Goodreads reading challenge. So what did I read? I started the week with a nice short, short story. 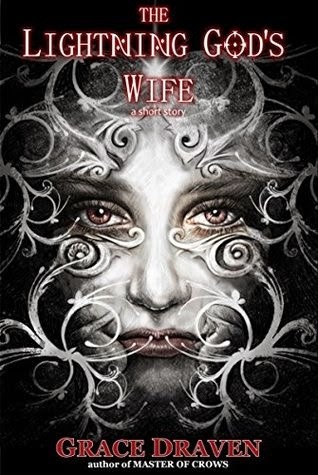 The Lightning God's Wife by Grace Draven is a story within a story and starts with Martise from Draven's Master of Crows series. Martise recounts the tale of Revida, an outcast rain priestess, a long drought and what happens when Revida rescues a man and his young children. I don't want to say too much as this story is very brief and I could easily give the whole plot away in a few sentences. What I can say is that I enjoy reading more of the characters from Master of Crows even if only in a few paragraphs. The first full length book I read this week has turned out to be one of the best books I have read this year. 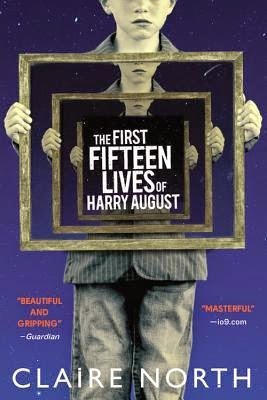 If you haven't heard of The First Fifteen Lives of Harry August by Claire North then I urge you to get to your local book story or find it online, post haste! Harry is the orphan of a young woman who had the misfortune of being the servant of a wealthy, damaged and violent man. His mother dies during his birth and Harry is adopted by the gardener of his natural father. His life turns out quite uneventful as a series of events keep him poor and relatively uneducated. Well...that was his first life anyway. Harry is a 'kalachakra' - someone who is re-born, time and time again, in the same place, in the same year and all his memories intact. The story actually starts in Harry's 11th life when a young girl is waiting by his death bed with an urgent message that the world is ending and its up to Harry to save it. North takes us back and forth through Harry's lives as he tries to solve the puzzle of who and what he is and what he needs to do to stop the destruction of not just the world but of his timeline (think Back to the Future). This is a 'can't put down' book and engaging from the first page. North manages to make Harry likeable even when he has to do some of the most unlikeable things. As the story moves back and forth through his lives you are never too sure what will happen next, or what could happen next. I felt quite sorry for Harry in many ways for having to re-live his life over and over even though he was able to make use of his mnemonic memory to make money, learn a variety of languages and have several different careers from mechanic to doctor. This is a great book and a must read which I can't do justice to in this mini review. I hope you find out for yourself. 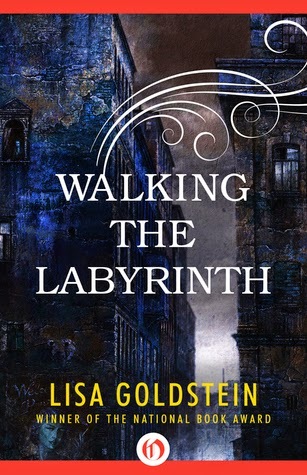 The final book I have to tell you about this week is Walking the Labyrinth by Lisa Goldstein. I received this book from the publisher (via NetGalley) following my review of The Red Magician which I really enjoyed. Goldstein tells the story of Molly who was orphaned (another orphan) at a young age and raised by her eccentric aunt Fentrice. Its not until a private investigator tracks her down that she discovers she comes from a magical family who used to travel across the States as a vaudeville act. It's not long before she uncovers a number of skeletons in a number of closets and the extent of her family's magical powers. I was looking forward to this book and after the first few chapters I thought it showed real promise. Midway through I was however, a tad disappointed. During the first few chapters I thought this book was going to be a bit of a cross between The Night Circus and The Troupe and perhaps this was why I found it disappointing. I didn't feel that Goldstein adequately developed her lead characters - specifically Molly. I didn't engage with her and therefore, didn't emphasize with her or her situation. I liked the idea of the labyrinth but I didn't feel the other magical elements were constructed sufficiently. The magical abilities of certain characters started out as straightforward mind reading and ended up being able to create complex illusions including manipulating people and events. There didn't seem to be an explanation for how or why this happened which made this novel feel like the development of the plot had been rushed. Overall disappointing but it wouldn't put me off reading other books by this author. That is it for me this week. I hope all of you who celebrate Christmas have a great holiday and that Santa leaves you some fantastic books under the tree. 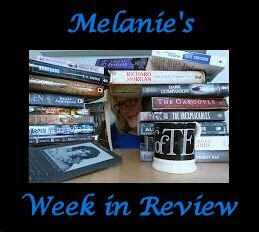 Until next week Happy Reading and Happy Christmas.